Why leave your exercise routine at home when you can take it with you during travels? You know you’ll avoid your usual yoga session if you don’t have a comfortable place to do it in, so don’t take the chance to fall out of practice. And have you considered how maintaining your routine will enhance your travels? You can unload some stress during a business trip or stay fit so you have high energy levels during a holiday. To help you make this possible we’ll review five of the best travel yoga mats available. Leave your regular one at home and let this empower you to keep up your healthy lifestyle. Will a Foldable Yoga Mat Really Work? You don’t want to arrive at your travel destination and be disappointed with your mat, right? Chances are you’re going to purchase this just before your trip and you won’t have time to try it out first. That’s not a problem. We’ll help you pick the best one from the lot so you can go on your trip with peace of mind. Browse properly before you purchase a mat. Travel mats may be slightly smaller than usual and if you’re tall this may be a problem. Since yoga is about relaxation it’s best to feel as familiar as possible during your sessions. Try and find a mat as close in size to the one you usually use. The biggest difference between these mats and normal ones is that it won’t weigh your luggage down. 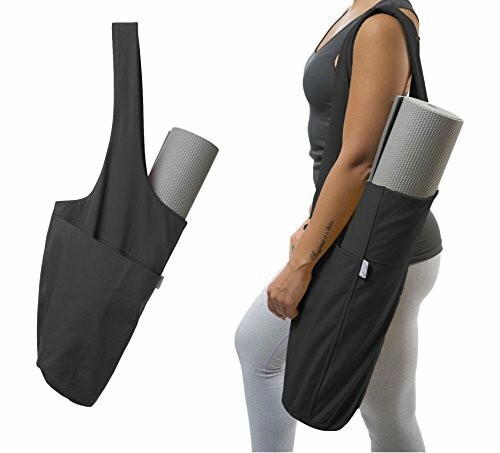 You can imagine your current mat will make your bag quite heavy and will be cumbersome to carry. Not so with travel mats. You’ll see these mats are slightly elevated in price. This is in part because such state of the art, light fabric is used to make them. They’re also bound to be much thinner than your current mat but that doesn’t mean they’ll be uncomfortable. They’re designed to still offer you a smooth, comfortable surface to do yoga on. You probably have a range of travel items in your home such as a pillow or toiletry bag. Here’s one characteristic they probably all have: Easy to clean. These items are kept in dark spaces and often left in the sun too. You don’t want dampness to create mold on your clothes or personal items. A travel mat should be very easy to clean especially since you’ll place it on many different floors in the future (and you don’t know when last someone cleaned the hotel gym’s floor). You don’t want to arrive at your destination only to find your mat in tatters. Opt for a high-quality mat you can use for a long time no matter how many times you need to bundle it up and squeeze it into your luggage. Do you know where you’ll be having your yoga sessions? You need a mat that will cope with carpets, gym floors or any surface you may find as your exercise space. A non-slip bottom is an excellent feature and worth the investment. Here’s what many consumers are confused about: With regular yoga mats the focus is on getting a thick mat that will be ultra-comfortable. Now you’re asked to believe that a foldable version will be as impressive. Let’s be clear about the fact that you shouldn’t swap out your current yoga mat for a travel one. Obviously, a thick, padded surface is the best. But for short-term use, a thinner mat that you can fold up will do more than an impressive job. You simply have to choose quality materials so you get enough support. This is one of the focus areas in developing quality travel mats. It’s worth putting your money into an expensive unit that will feel almost as luxurious as your regular one. One way you’re bound to ruin your travel yoga sessions is if your expectations are unrealistic. You may imagine a perfect, serene environment in a hotel garden or the gym. The reality may be that the gym is closed for renovations. Or the gym may be so crowded it’s very difficult to concentrate. This is one reason why a quality mat is a good investment. It allows you to make use of alternative options such as doing it on the hotel room carpet or on the patio. This is what the slip resistant features are for. But remember not to have too many expectations and be open to all the possibilities around you. That’s what travel is about, isn’t it? This is also why you should invest in a travel mat because there’s no guarantee your hotel will have any available to rent. Perhaps this inspires you to get your travel mat even if you haven’t tried yoga before. One small mat can make future travels extra special. And if you want to know more about yoga blocks we have an article that covers all of that too. Now let’s talk about the mats. 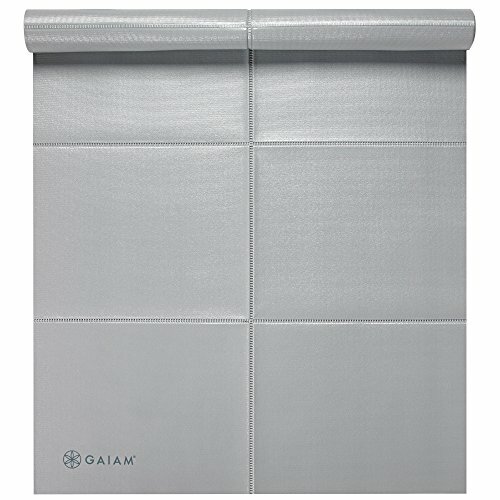 Enjoy your travel yoga sessions on a 68” x 24” mat that’s 1.5mm thick. Although that’s about half the usual thickness it will still feel luxurious because the natural tree rubber is quite soft and comfortable. 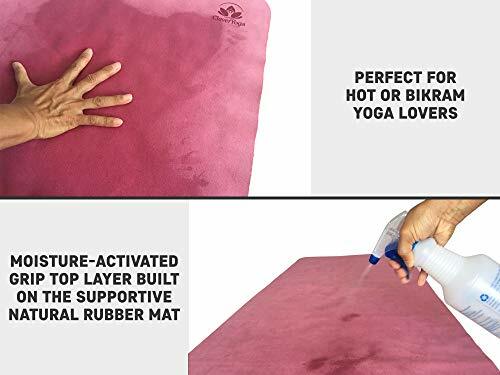 This slip-resistant yoga travel mat is great for people who tend to sweat a lot! The soft fabric surface grips your feet and hands without becoming sticky. The more wet it becomes; the grip becomes even tighter. 1 This mat measures 24” x 71” and is quite thin at 1 mm thick. This is perfect for travel but may be too thin for some people exercising on concrete or wood floors. In your hotel room this will be perfect on the carpet. 5 Here’s what consumers love about this mat: You’re bound to sweat on this but it won’t negatively affect your grip. Contrary to your expectations, moistness will give you more grip than when it’s dry. You can actually wet this beforehand to ensure a great grip. 6 When you get home you can pop this in the washing machine; that’s easy maintenance. It’s awesome if you can get a customized product isn’t it? 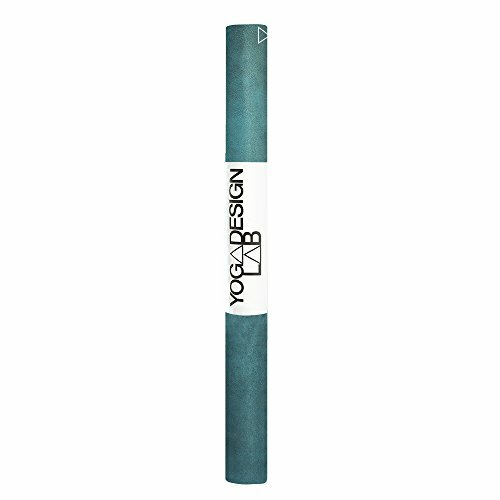 With the Jade Travel Yoga mat you can pick between two sizes depending on what you’re used to: 68” or 74”. 1 Your grip is enhanced by the natural rubber used and the open cell design. 3 It’s slightly heavier than other models on this list, weighing in at 2.98 lbs. Add some style to your exercise routine with these beautifully printed mats. Pick one of 13 designs depicting beautiful scenes that will automatically put you in a calmer mindset. You’re bound to sweat if you do yoga correctly. 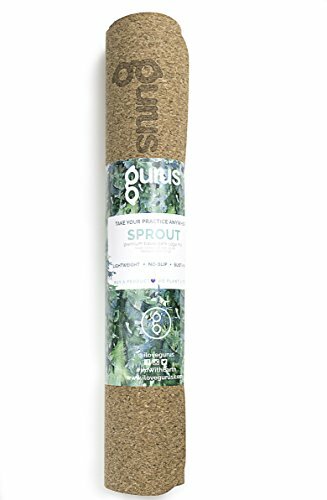 With this purchase you get a towel as part of the deal so you can place it on your mat and absorb some sweat. Of course this will also help since the mat itself is thin. For us there’s no question about the winner in this category. 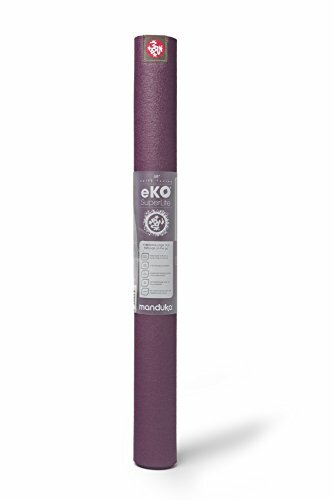 The Manduka eKO mat was manufactured with everything in mind that’s important to the modern yoga enthusiast. You get everything from super easy portability to eco-friendly features. And of course it’s important that something you may lock in your suitcase for hours won’t give you hygiene problems. This unit’s bacteria-free feature makes it healthy and practical. The latter is enhanced by the fact that it won’t tear easily. When you’re in a rush and throwing things into your suitcase, while this mat may seem flimsy because it’s so thin, you’ll be using this for years to come. As a bonus you can choose the color that fits your outfit. What more can you ask for?